Colleen Hoover is without a doubt, my favorite author. I haven’t read a book from her that I didn’t love, that I didn’t stay up until 1am so I could finish it, and Without Merit is no exception. I read the whole book in one sitting and I couldn’t put it down. I loved everything about Without Merit. From the stunningly complex, incredibly flawed characters to the well written plot. I related to Merit in such an unexpected way, it almost brought me to tears a couple of times. I understood so many of the things she was going through and it was almost comforting to read about a fictional character that mirrored myself in so many ways. There was so much development to the characters. I loved how each character had their own issues and everyone was flawed in such a realistic way. It felt like reading about real people. Each “problematic” quality is addressed and dealt with at some point in the book and it really showcases how taking the time to calmly address issues is so much more effective than keeping secrets, talking behind someone’s back, or being passive aggressive. The plot was so well written and thought out. There wasn’t any crazy action or over dramatic schemes. It certainly was not boring either. Like I said, I was up until 1am reading this book and I’m normally asleep at 9:30. Overall, Without Merit is a stunning read and I can’t wait to reread this book over and over. I loved every second that I was reading it and I never wanted it to end. 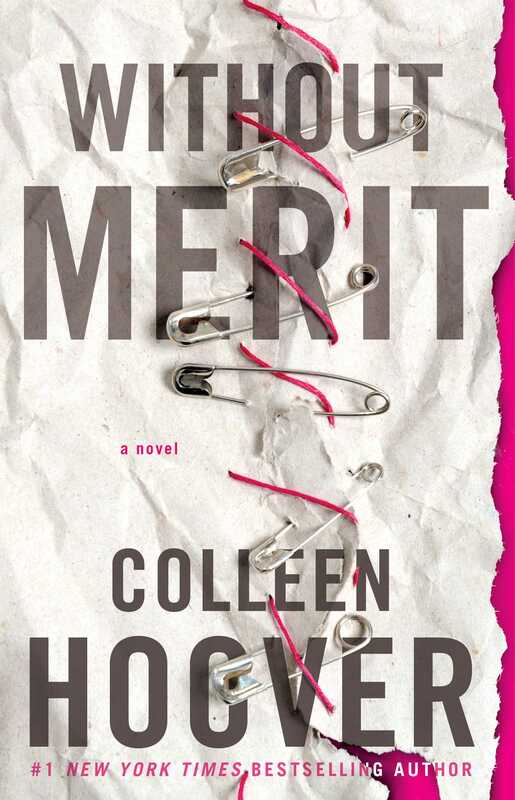 If you’re a fan of Colleen’s books, you’ll want to pick up a copy of Without Merit ASAP. Or if you’re new to Colleen’s books and want to jump in the ocean of feels that is CoHo books, Without Merit is a great one to start with.